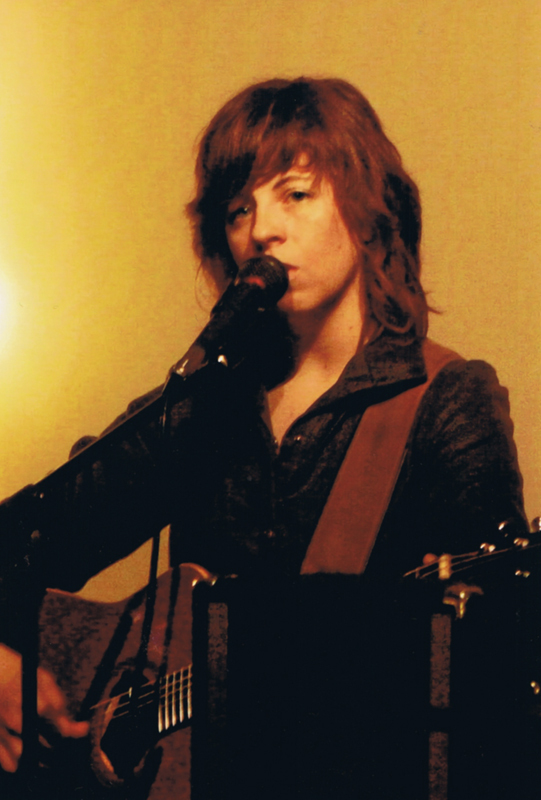 Ember Schrag acts as the reinvention of the poet as an performer in the form of a beautiful Midwest born folk singer. Her voice is pretty. Her guitar gently cries out in pain, and squeals with delight. But, it’s her stanzas of triumphant poetic intentions that really make A Cruel, Cruel Woman a wonderful album. Our heroine has chosen the country twang spirit to spread her message of beauty through music. Probably a wise choicee on her part. If Patti Smith was the first lady for punk rock, that scene would crumble under the weight of Ember’s words. The subtly unsettling track “Iowa” is one missing dog, truck, or lover away from being a stereotypical mushy country track. But, with lyrics so deep in a metaphorically sense, all tags disappear. “Dark Lion Lover” is the key track that puts A Cruel, Cruel Woman further away from stereotype hell. The twang in Schrag’s voice subsides for a few minutes, as though she is possessed by the spirit of a New York City coffee shop hidden away in an alley of darkness and artistic revolution. The obvious single, “Two Suns” is about loving just a bit too much. It’s catchiness is what proves this woman to be an all around substantial artist with so much to give. This is an album that pulls apart reality as we once thought it to be. At times Ember is sweet and compassionate. Others, she is frank yet well spirited (for example: “I can pick a guitar/ But not like I can pick a man.”) A Cruel, Cruel Woman is for the artist in all of us. From the untalented crypt keepers of late night Denny’s dining, to the young girl sitting on rusting train tracks in a cornfield somewhere in the middle of herself and nowhere. For every ounce of pain we feel, Ember gives that much understanding back, and then some. 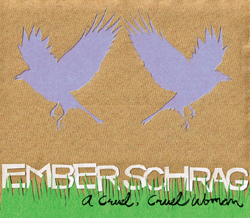 Find out the latest news from Ember Schrag at her Website.